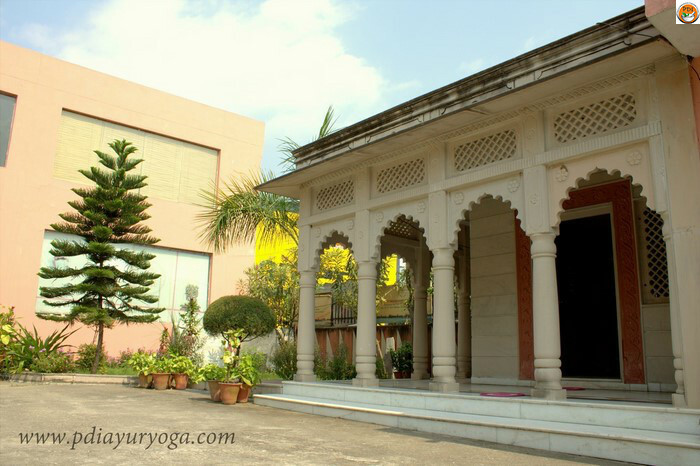 PDI is Yoga and Ayurveda Resort and Clinic is managed by highly qualified, professionally dedicated team of Managers, Ayurvedic Doctors & Therapists. 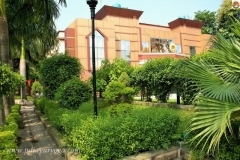 It is well equipped with specially designed instruments used in different Ayurveda procedures. 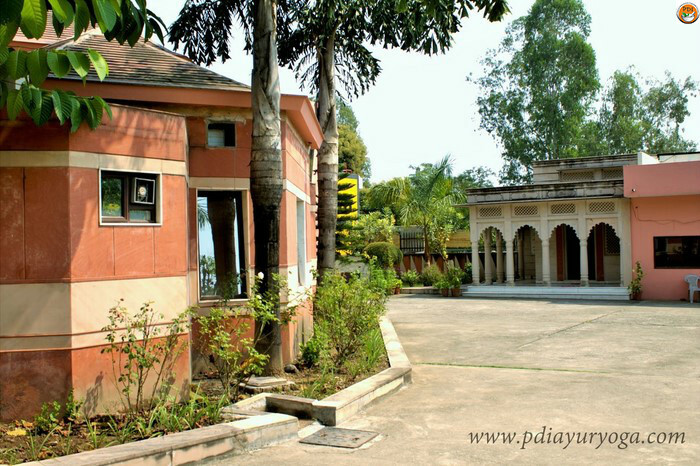 PDI Ayurveda Resort having clean, pollution free hygienic atmosphere and efficient 24×7 staff fully engaged in the Ayurvedic treatments by Scientific, Authentic & Systematic Methods. PDI Ayurveda Resort is located on Haridwar–Rishikesh Highway near Raiwala Railway Station, Our Resort is surrounded by Rajaji National Park also called “Chilla”. The Rajaji national park is spread over an area of 820.42 sq. km. in three Districts- Dehradun, Haridwar & Pauri Garhwal of Uttaranchal State, India. It offers ample opportunities to nature lovers to enjoy the captivating landscape and wildlife. NOTE: The patient may bring accompanying guests who can make use of the facilities offered by the center, includes accommodation & meals at additional charges. We conduct seminars & workshops on various topics related to current health problems, Ayurveda, Yoga, Meditation, and Spiritualism. For scientific lectures and training, seminars eminent Ayurvedic scholars are invited from all over the world, to provide you complete lifestyle guidance. 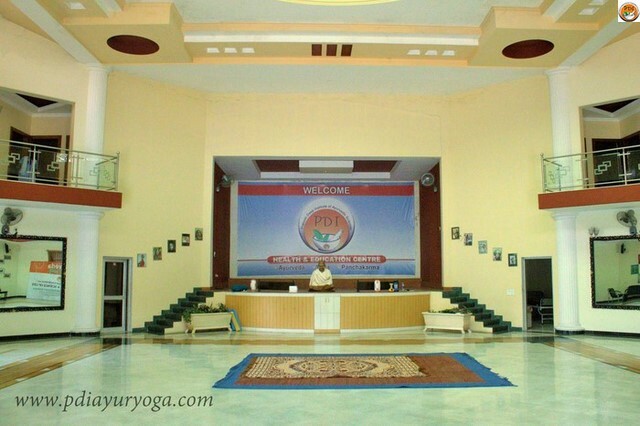 We have the facility of one big conference hall with the capacity of 300 chairs with a stage, Dias & dining hall for organizing conferences and seminars. And many more on various topics related to Ayurveda Medical Science. We also have our museum showing various models related to medical science with samples & photographs of about 200 medicinal plants, raw herbs and other beautiful articles. 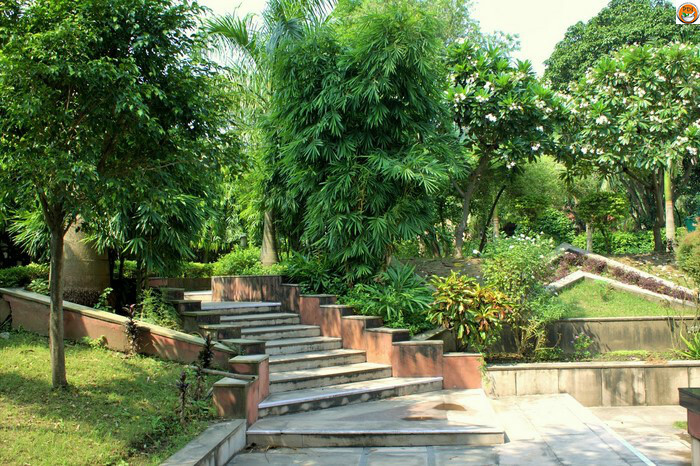 There is a well-maintained Herbal garden in the campus of PDI Ayurveda Resorts having about more than 100 species of various medicinal plants utilized in Ayurvedic treatment. We are situated in a peaceful, pollution-free natural atmosphere surrounded by beautiful mountains & greenery. 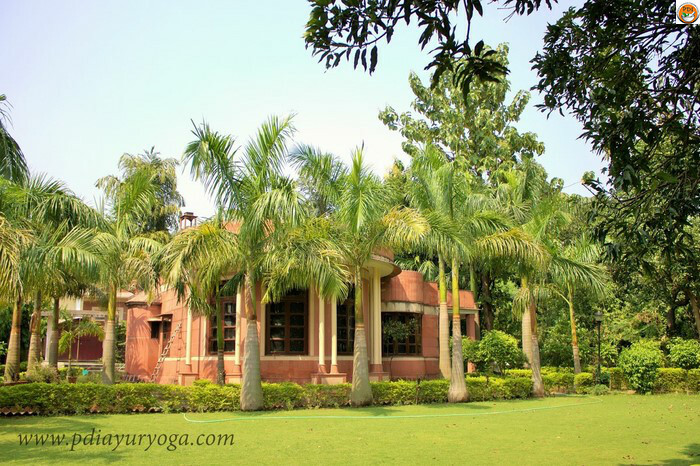 Our Ayurveda Resorts is located between Rishikesh and Haridwar in Rajaji National Park forest range which is full of awesome views this make it special compared to others. Ayurveda Resorts Guest and student having the advantage to visit Haridwar and Rishikesh for awesome Sight Scenes and get memorable experience while traveling the area. We organize sightseeing tours for our Guests and Yoga & Ayurveda Students who wants to experience the beauty of Uttarakhand. We have a purely vegetarian, Satvik kitchen to provide food only for the patients suggested by the doctors during the course of treatment. We have a Dinning hall / Canteen facility having neat, Hygienic, Nutritious and Delicious food items available at reasonable price for everyone. The guest accompanying the patient can take food from the canteen. 24×7 health support at our Resort for our guests. We use our own Ayurvedic Formulations for treatment, which are more efficacious and safe.